Chicago St. Scholastica Academy "Stingers"
Chicago (population 2.8 million) is located in the northeastern-most portion of Illinois in the heart of Cook County. Interstate Highways 55, 57, 88, 90, and 94 all lead you directly to and from Chicago. In addition several Illinois and U.S. Routes will take you there as well. Chicago was at one time one of the stockyard capitals of the world. The town was established in 1832 and incorporated in 1837. For up to date information regarding St. Scholastica Alumnae events please check out the web address of http://www.osbchicago.org/alumnae . One of the oldest Catholic academies for young women in Chicago, St. Scholastica Academy opened its doors in 1865. The Academy is the sponsored ministry of the Benedictine Sisters of Chicago. In 1861, three Benedictine sisters from Erie, Pennsylvania (originally from Eichstatt, Germany) answered a call to come to Chicago to educate children of German immigrants in Chicago’s St. Joseph Parish School. These three sisters were eventually joined by Benedictine sisters from St. Mary’s, Pennsylvania. In 1865, they opened the Academy (named St. Joseph’s Academy) that served as a convent and a school with space for residential students. The Chicago Fire destroyed a great part of the city in 1871 including the Academy. This did not deter the Benedictine Sisters in their mission to educate young women in Chicago. On July 1, 1872, the newly established Benedictine Sisters of Chicago bought land at Hill and Orleans Streets and re-opened the Academy under the name of Saints Benedict and Scholastica Academy. As the Academy and their community grew, the Benedictine Sisters needed more space. They purchased land in Rogers Park and moved the Academy and their monastery there in 1906 where St. Scholastica Academy sits today. The Academy has continued to grow through the last century. 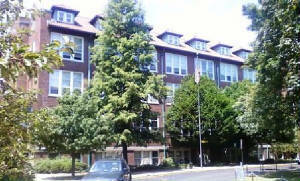 Today the Academy consists of the original 1906 building, a 1926 building, and a 1958 fine arts building. The Academy has newly renovated science laboratories, fully equipped information technology classrooms, wireless technology throughout the buildings, two visual art studios, music studios, a choral room, and a 1,000-seat professional auditorium that benefited from a $1M renovation completed in 2007. The Academy sits on 14-acres of landscaped property that includes a softball field, a playing field for field hockey and soccer, a running track, and a long jump pit. 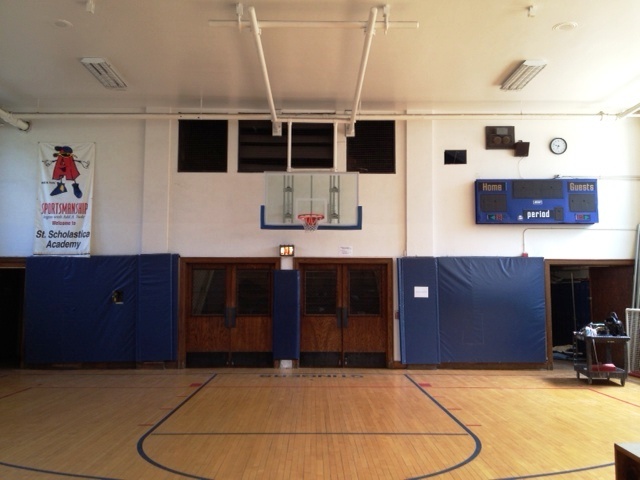 All of these facilities help St. Scholastica Academy enact our mission of Benedictine education for girls, in which we are committed to educating the whole person. In March, 2012 the Benedictine Sisters of Chicago announced they would close St. Scholastica Academy. CHICAGO, March 14, 2012 — The Benedictine Sisters of Chicago have decided to close St. Scholastica Academy (SSA) at the end of the current school year. The Benedictine Sisters of Chicago are very grateful for the SSA students and faculty, past and present. Through their hard work and commitment to Benedictine education, they have lived a great history and they leave a great legacy. About St. Scholastica Academy and Benedictine Sisters of Chicago:St. Scholastica Academy, 7416 N. Ridge Ave., is a Benedictine school rooted in a tradition of community and academic excellence. The Benedictine Sisters of Chicagoare a community of women committed to contemplative prayer, community life and ministries that respond to needs in the community, including parish ministries, pastoral counseling, work with the homeless, and spiritual direction. Over the past 150 years, St.Scholastica Academy and the Benedictine Sisters of Chicago have educated thousands of students through St. Scholastica Academy and many parish elementary schools. They have also served the people of Chicago in many other ways. St. Scholastica Gym Floor "STINGERS"
The St. Scholastica "Stingers" had some very competitive teams and athletes over the years. The sports program brought home seven Regional titles and a District Championship! In addition one lady earned medals in two different sports at State Meet competition. We are in need of season records and coaches names for several of the teams. We are also looking for the school's fight song. The following items were found on the IHSA website (www.ihsa.org). "The nickname "Stingers" came from the hobby of the Nuns who ran the school. 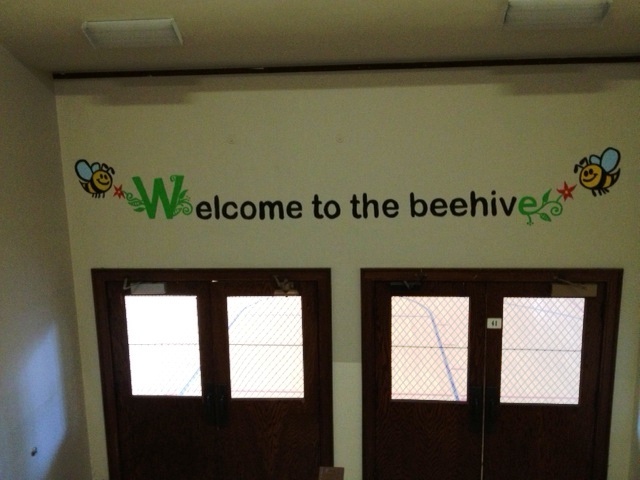 As the story goes, the Sisters kept bees on the vast campus behind the school. The "Stingers" name replaced "Suzy's", I'm guessing sometime during the 80's. I'm not quite sure where the nickname "Suzy's" came from." 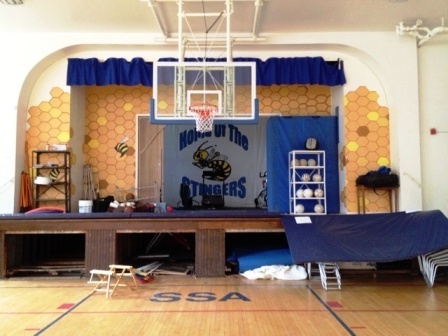 The Stingers had a great tradition on the hardwood court. A total of SIX Regional titles were won, the most recent in 2004-05! The girls were a force for the area in the early 1980s winning three straight Regional championships from 1981 - 1983. We do need team records and some coaches names from these and the many other great Stinger teams. 1980-81 Class AA Regional Champions! Coach ?? 1981-82 Class AA Regional Champions! Coach ?? 1982-83 Class AA Regional Champions! Coach ?? 1996-97 Class A Regional Champions! Coach ?? One harrier earned medals in consecutive years at the IHSA Class 'A' State Meet! Her accomplishments are to be congratulated and are listed below. 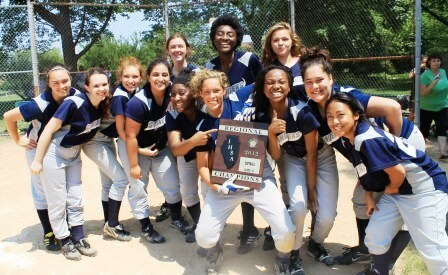 The Stingers earned a Regional Championship on the softball diamond, and this came in their last year of existence! The Stinger spirit lived on to the very end!. Other season records and coaches names are being sought. *Alex Alikakos ISHA Hitting Derby State Homerun Finals in 1998, 1999, and 2000. "I had the honor of being the last softball coach in the history of St. Scholastica Academy. I can't tell you how proud I am of our team for winning the first and only IHSA softball regional in the school's long history. When we found out that SSA was closing, the girls set the goal of winning the regional and were determined to bring home the hardware. The regional final was played at Scholastica in front of a large crowd of current and former students, parents, family and under the watchful eyes of the school's nuns. The 17 to 7 mercy rule victory over Hope Academy was, without a doubt, the greatest win in the program's history." We found two season records on the IHSA website for soccer. Please contact us if you have more to add. Shannon McGowan not only left her mark in Cross Country, but she truly excelled on the track scene. Shannon won SEVEN medals on the oval track, four coming in the 1600 meter run and three coming in the 800 meter run. In fact, Shannon medaled at the state meet in each of her four years of high school. This is an incredible feat and makes Shannon the most decorated individual athlete in St. Scholastica Academy history! The lady netters won a District title and we are certain had other great seasons along the way. We are need of the season records and coaches names of the volleyball program. 1979-80 Class 'AA' District Champions! Coach ?? 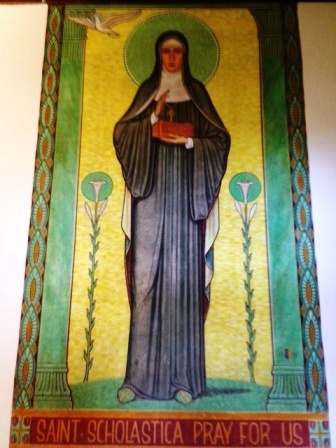 A nice article printed in the Chicago Tribune covers the closing of St. Scholastica as well. Click on this link to read this article.